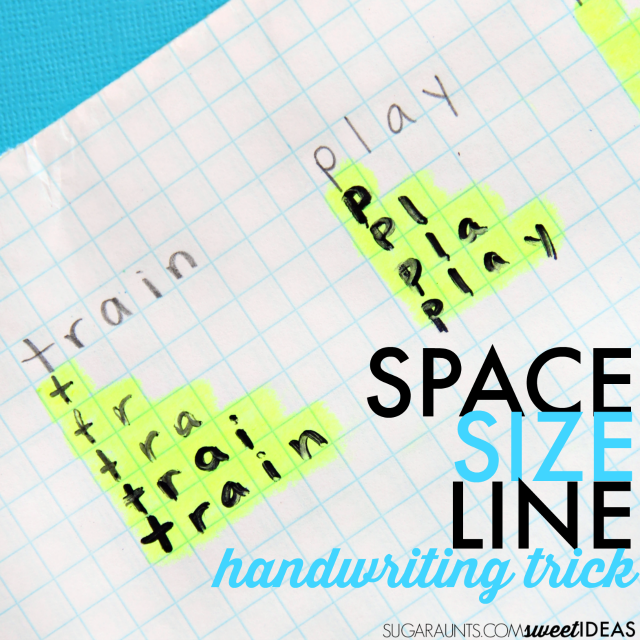 This graph paper handwriting tool is an easy way to teach kids how to place letters with appropriate letter spacing, letter size, and line awareness when writing. 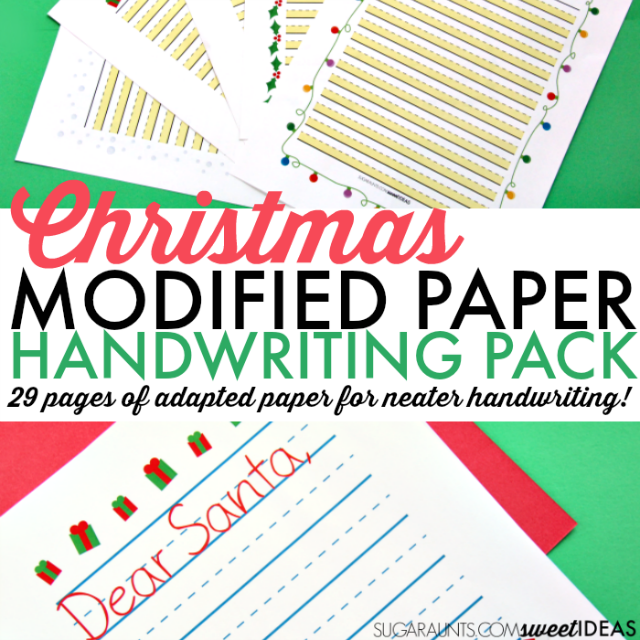 Try using this trick when visual motor integration is a concern or when students have difficulty with legibility in handwriting. 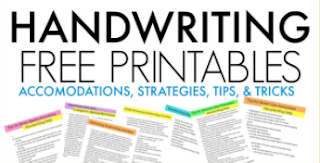 Common concerns with handwriting involve overshooting lines, poor placement of letters, and varying size of letter creation. Using graph paper is just part of a simple trick to help with each of these areas. If you missed yesterday's blog post, you'll want to read over another idea that encourages development and strengthening of several skills: using transfer paper to help with letter formation, letter size, line awareness, and pencil pressure. 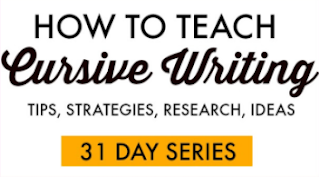 Both posts are part of our 30 day series on easy tricks and tips to help with handwriting. 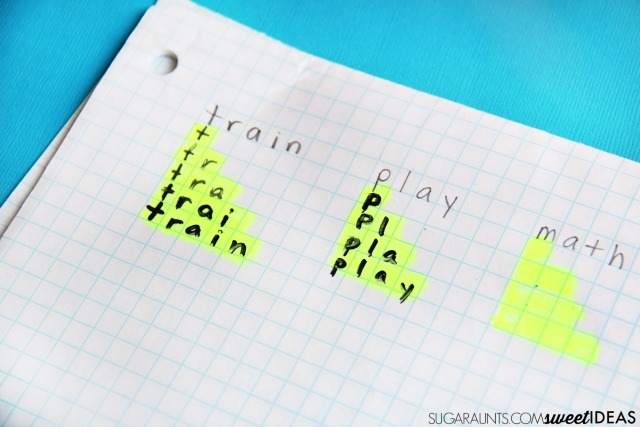 Using the appropriately sized grids, use a highlighter to create pyramid style boxes for practicing word copying. For each word, create a pyramid of highlighted boxes that stack the letters so the child practices the word with increasing motor plan effort. For example, when practicing the word "play", the child would practice "p", then "pl", then "pla", and finally "play". Practicing a word in this manner allows the child to shift their vision down to the next line with a visual cue to correct any mistakes that they made in letter formation. 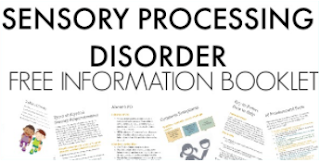 It is important to monitor kids' work as they begin this activity to make sure they are forming letters correctly and not building on inaccuracies in letter formation or organizational components (size and space of letters). The grid of the graph paper is a huge tool in allowing the child to form letters with constrictions on letter size, spacing, and line awareness. 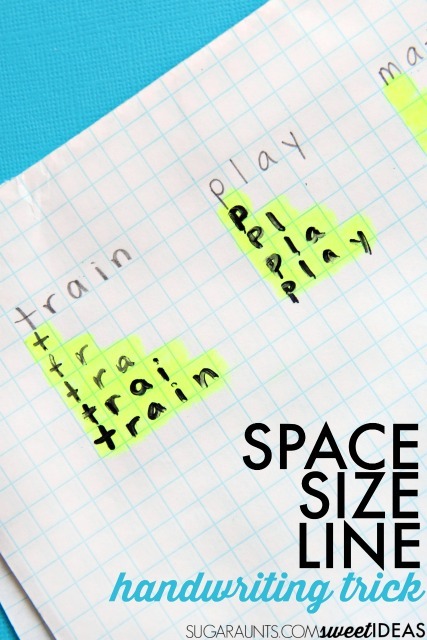 Finally, when the child completes the whole word, place a piece of paper under the last highlighted grid. The paper should have normal lines without graph paper type of grids. By placing the paper under the grids, the child can copy the style of writing that they used when writing the whole word. Transferring the spacing, size, and line use to regular paper uses the visual cue of the graph paper with improved accuracy. It is important to monitor kids' use of the graph paper and writing each letter of the word in repetition. 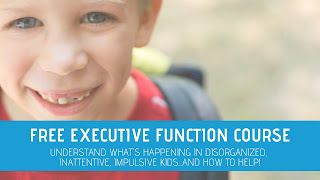 Sometimes, kids will attempt to complete an activity like this one quite quickly in order to "get it over with". In those cases, letter size, letter spacing, and line awareness can suffer. Try to limit the number of words that are practiced with this method. Use this pyramid style of writing to practice spelling words and sight words. Try using graph paper to write written responses to writing prompts. Use graph paper for writing responses on worksheets. Use graph paper to help kids who need extra work on margin awareness.